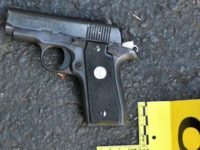 Keith Scott reportedly had a “stolen” gun on him when police shot him in Charlotte, North Carolina, on September 20. 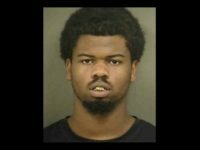 Charlotte-Mecklenburg police have now announced they have arrested and charged a man with the shooting of Charlotte protester Justin Carr. Seattle Mariners catcher Steve Clevenger tweeted himself into hot water on Thursday by expressing his frustration and outrage at President Obama and the protesters in Charlotte. As the city and state reel from a night of destructive rioting in Charlotte, North Carolina, the Carolina Panthers have admitted they are considering moving this Sunday’s game away from Bank of America Stadium if the unrest continues in the city. 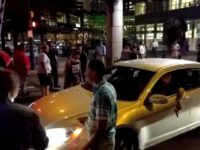 On September 21 a driver whose path forward was blocked by Charlotte protesters was allowed to move through after showing he had a gun with him.